How sweet is this candy holder? 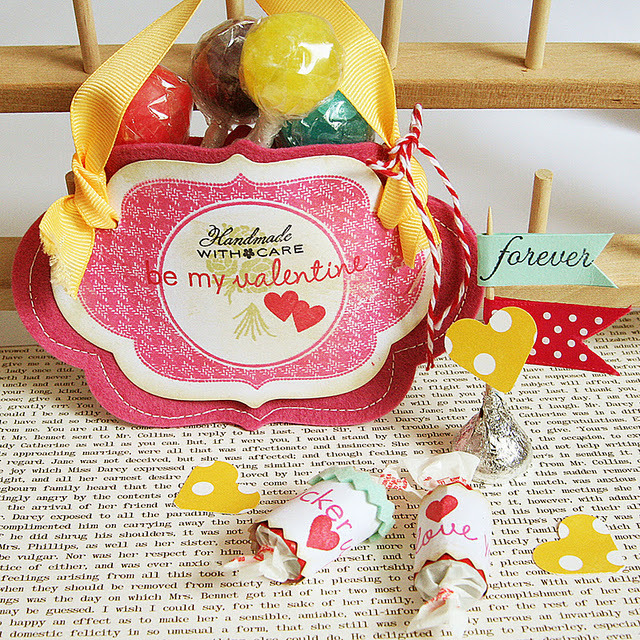 Danielle Flanders used felt and stamped paper die cuts for this adorable project for Valentine’s Day. She even made wrappers and flags for the candy inside. Find directions on her blog Homespun with Heart.